Tim Firth can’t keep away from the Calendar Girls. Following the 2003 film and 2008 play, he’s back again adapting the real-life story of Yorkshire WI heroines stripping off for a charity calendar after one of their number loses her husband to cancer – this time in a musical adaptation with Gary Barlow. 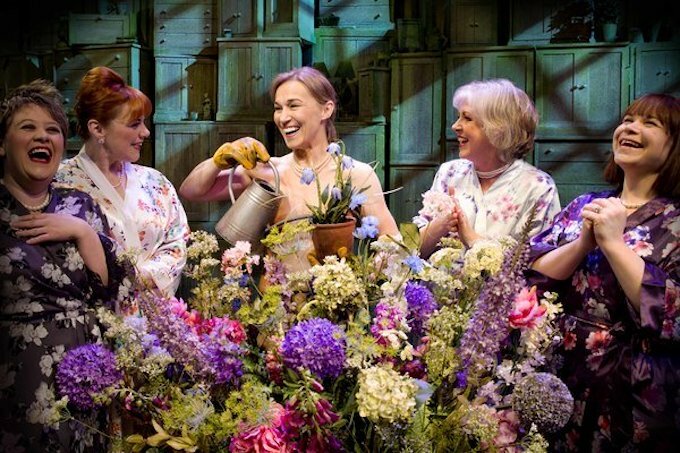 This entry was posted in Journalism, Theatre and tagged broadwayworld, calendar girls, gary barlow, musical, phoenix theatre, review, the girls, tim firth, west end, wi, womens institute. Bookmark the permalink.